Fall enrollment opens April 15 for currently enrolled students and May 1 for new students! Our Fall 2019 semester begins August 19, 2019. Enrollment for Spring 2020 opens on November 15, 2019 for current students and Dec 1, 2019 for new students. Classes for Fall 2019-Spring 2020 will be held on Mondays and Thursdays, taught by Claudia Boden. Delight, discovery, and adventure fill the outdoor days of the Earthroots Forest Kindergarten. 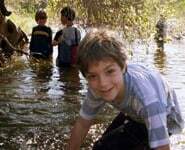 Children ages 3-6 are invited to play and learn in the unspoiled beauty of Big Oak Canyon with experienced instructors. We are excited to host this class on our property in Silverado Canyon! This property, called Big Oak Canyon, is filled with hiking trails and natural beauty. It is rugged and comprised of a variety of native ecosystems. Spring water flows year-round on site and the property accesses a creek! Mature fruit trees are growing in an established orchard. 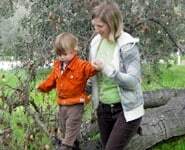 This site is the perfect place for children to connect with nature. Rustling leaves, squishy mud, sour lemongrass, fragrant sage, soaring osprey – we know intuitively and logically that the outdoors is the best place for our children. Every sense is stimulated by nature for optimal intelligence growth and development. Outdoor activity also calms and balances excess energy. 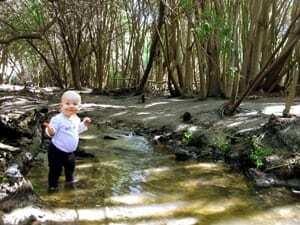 Your children will sleep deeply and peacefully after a day exploring the creek bed. Children who spend more time outdoors are stronger and healthier as well. Families are welcome to participate in one day of Forest Kindergarten every week, or enroll in both classes and attend twice a week. 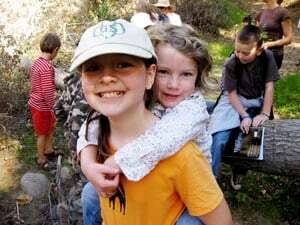 All classes will meet regularly at Big Oak Canyon, Earthroots property in Silverado Canyon. New stories and games will be introduced every week, but as children love rhythm and repetition, many songs and hand-plays will be repeated throughout the month. Songs are uniquely chosen throughout the year to blend fun animal lessons, seasonal changes, earth spirituality and a variety of languages. There are two sessions of Forest Kindergarten: Fall and Spring. Our Fall 2019 session is 14-16 weeks long, and our Spring 2020 session is 16 weeks long, similar to the semesters of the academic year. Classes fill on a first-come, first served basis. While safety and nature connection are Earthroots’ top priorities, there are many correlations to California’s kindergarten state standards, and Earthroots is a state-approved vendor for many local charter schools. Letters and numbers will be introduced through oral storytelling and practiced with full body and sensory activities: by drawing with sticks in the sand or fashioned with warmed beeswax. The general structure will include circle time, story, main lesson, wilderness exploration, and games. Forest Kindergarten provides a perfect launching point for a homeschooling child’s weekly lesson. Parents are invited to attend Forest Kindergarten with their child. 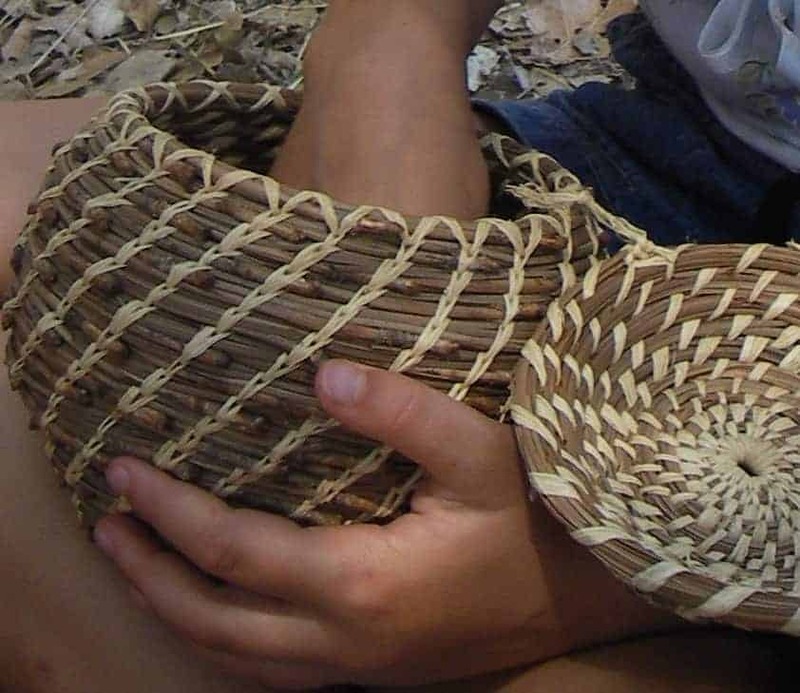 Parents are encouraged to model exemplary attentive behavior during circle and game times; and also to bring a handwork project and to practice being “benign parental presences” during wilderness exploration times. Independent older children (older than 4 years 9 months) may be dropped off pending instructor approval. Each class will be limited to a small group of adventurous students for a more intimate connection with the local surroundings, other students & instructors. We recommend parents read Coyote’s Guide to Connecting with Nature to better understand Earthroots mentoring philosophies. – Read Why I love Forest Kindergarten, a blog by parent participant Kristin in 2015. – Forest Kindergarten blog 2014 here. HOW: Send a deposit of $250 or full payment to hold your spot with completed enrollment form (per family) and completed medical and release forms (per person). 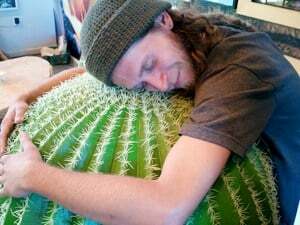 Register by mail Send check and one Enrollment Form per family and one Medical Release Form per person to Earthroots PO Box 504 Trabuco Canyon, CA 92678. Please inquire about monthly installment rates. The application can be found in the right side margin, and at the bottom of this page.